I was in a search for a really good concealer to cover up dark circles but also wanted something affordable as soon as I searched on Google I saw LA Girl and looked at reviews and images and decided I really wanted to give it a go. The concealer is affordable it is £3 each and can last about a month. The hardest part was to work out the correct shade it took me about an hour looking at photos and videos online to see which shade would be right for my skin tone. in the end I just decided to purchase two one that would be kind of light which is natural and one which will be a little dark which will match the colour of my dark circles which was almond. I used the almond colour as a colour corrector and the natural colour as a concealer. For the price I am impressed with this concealer it does cover really well than other concealers I have tried, it is lightweight and provides a natural finishing look. It provides super coverage you can use your fingers, concealer brush or a blender to blend the product out. For people who have got dark circles that are really dark it would be something average for them and someone who has got light to moderate dark circles I think this would be perfect as it will cover up perfectly. I have dark circles that are really dark so I was kind of impressed with this because it was better than other drugstore concealers I have tried, even though it doesn't completely cover you can see the shadow slightly from underneath it does make a huge difference and I preferred applying this with a concealer brush rather than a blender because I felt the blender would wipe away most of the product. This product reminds of the Sleek concealer and corrector palette as they also have a corrector colour to apply then concealer on top and this is what I do with the LA Girl concealers, but the texture is different, sleek is a thick cream texture and this is a liquid texture concealer so you can blend out the product well and have more control with it. Overall, I think I will buy this product again but next time a different colour because I still don't feel completely happy with the colours I purchased, natural is too light and almond is too orange for me so I will probably need to trial and error again with another colour until I find the correct one. Next time I think I will go for creamy beige which will hopefully be right. I noticed Superdrug had a lot of offers going on that is what encourages me a lot to buy from there and try new products, so I ordered these 2 Colab dry shampoo sprays, I have never used dry shampoo before so this was the first time using it. I have seen a lot about it and really wanted to try it because I don't wash my hair every day only twice a week and from what I knew dry shampoo gives you that extra moisture and cleanliness without having to wash your hair. I purchased this for £1.73 whilst it was on offer but the normal price is around £3 I think, prices at Superdrug can change so check for the offers. This dry shampoo is not something I would spray on every day, at the moment I use it two or three times a week. I really like the tropical dry shampoo smell, it smells exactly like the name tropical fruity with a hint of floral to it. I prefer the tropical dry shampoo to the paradise one mainly because of the scent the tropical one has a more perfume type of scent to it whereas the paradise one smells sweet like coconut which I don't mind but would prefer more something like the tropical dry shampoo. You definitely won't need any perfume after spraying this as it already has quite a strong smell which can be smelt easily. These dry shampoos are in an aerosol spray, there are others as well which you can get that are just in a powder form but all of Colab dry shampoos are aerosol, because this dry shampoo is in aerosol spray when you first spray it out it does feel like all aerosol sprays the smell just tries to get into your nose and mouth and that is something I am not fond of and dislike, so I would highly suggest you keep your mouth and nose closed when spraying and after for a few seconds until the spray absorbs into your hair rather than inside you. When you spray and see white residue don't worry because this happened to me just shake well before you use it, and if white residue does appear you can just brush the white residue and it should disappear. When spraying onto the hair it does give you that coolness feeling which feels funny but in a good way. Overall, I think I would buy the tropical dry shampoo again but not the paradise one as I prefer the scent of the tropical dry shampoo much more, they both do the same job but have a different smell. As I can't apply this to every inch of my scalp it can't help my whole scalp be cleaner but where I can spray it I have noticed the after look looks good my hair feels smoother and fresher. If dry shampoo is something you are considering then give it a go, you may like it you won't be able to know until you don't try it out. The most popular brand is Batiste but from what I know it leaves white residue and Colab does not. You can purchase these dry shampoo's and in other varieties from Superdrug here. These are hacks which include using makeup brushes, these tips and tricks can help you with your makeup brushes and tools, it can save you buying, but also show you good techniques so you can apply your makeup well. If you do not have a fan brush but do have an extra fluffy brush you can turn that into a fan brush just using two bobby pins and placing them towards the end of the brush to flatten out the brush and use it as a fan brush, a fan brush is used for applying highlight it allows you place the highlight in a straight line using a fan brush. If you have a spare foundation brush you can use that for applying face masks or face creams, using a foundation brush to apply it on will help you to apply an even layer but also save your fingers from getting filled with the product, meaning you will be wasting less product and using most of it on your face. If you have extra lip liner and precision brushes you can use them for nail art designs they are thin so you can easily make patterns and different designs with them and then clean it off with nail polish remover or water to use different colours, rather than having to buy nail art tools. This tip is to help you apply your eyeshadow even eyeliner and your whole face makeup. Use makeup setting spray I use the Mac Prep + Prime fix spray in travel size it is only £10 and it does a good job in making the eyeshadow more pigmented and helps your makeup last longer making sure it does not smudge, or even water can help to make eyeshadows pigmented, but I recommend this spray. You have an eyeshadow brush but it has leftover eyeshadow colour still on the brush and you don't want to wash the brush, this tip can help. Use the back of a sellotape, so the sticky part and pat the eyeshadow brush onto it and you will see the eyeshadow coming off as it is sticking to sellotape. After doing this will remove all the eyeshadow so you can go ahead and use the colour you want. This tip is for your hair using an eyeshadow brush, if you have hair missing at the front or just want your forehead to look fuller on your forehead you can easily hide this using eyeshadow the same colour as your hair, so black eyeshadow for black hair and so on and just fill in the area with eyeshadow lightly you will see a massive difference your hair will look more fuller. This tip is to help look after your makeup brushes and clean them, I prefer this makeup brush cleaner as it has different patterns on and I feel the spots pattern cleans the brushes more better. You can use smaller brushes on different areas and bigger brushes differently. These are really affordable online you can get them for £1 on online e-commerce websites like eBay and Aliexpress. The last tip is using a makeup tool which is an eyelash curler to make your eyelashes stay curled for more longer, by curling your eyelashes with heat using a hair dryer on the eyelash curler can definitely help because when we straighten our hair with hair straighteners it only works with heat without heat it would not work, same with eyelashes. But make sure you are careful only a few seconds of heat is needed and before you apply your mascara. You can also purchase heated eyelash curlers that stimulate heat itself this is the one I have and it works well. 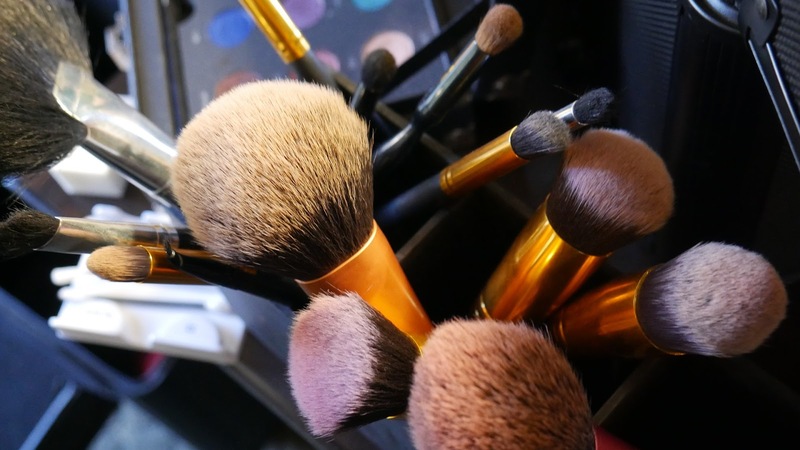 I hope these tips and tricks will help you using your makeup brushes and tools. There was a sale at elf and one item that really caught my eye was this eyeshadow quad, elf has a lot of colours available in this flawless eyeshadow range, but I chose to go with party purple because I thought this quad would give my eyes that pop of colour. I got this for a bargain of £1.20 it was really affordable to buy. This is the first eyeshadow product I have tried from elf and I am really impressed with this for the price and quality it is great. It has got each eyeshadow marked with where it can be placed to create a purple party look although you do not have to apply the eyeshadow to them certain places you can create your own look. For me, this little quad is really pigmented even if I use really less eyeshadow it does a great job, but for it to last all day primer would probably be needed. The base colour is a soft pink almost like a pearl white, the lid colour is a dark pink, the crease colour is violet and the line colour is a dark aubergine purple. I think the colour variations are really good they work out good together you can achieve different kinds of looks with these using one to four colours. The eyeshadows look shimmery but it is not, they look matte when they are swatched but they are shiny they do not leave any shimmer they are made from a silky and smooth formula which I love and it gives you the perfect eyeshadow look. I love all the colours they are long lasting as well you can apply with the applicator, a brush or your fingertips, but I prefer to use these delicate eyeshadows with the applicator as a sponge applicator can apply more smoothly. The crease colour is the only colour which will actually make your eyes pop the other three don't really have a popping out colour but are still good to use. You can mix and match colours from other eyeshadow palettes I will definitely be using the dark purple as an outer corner colour. For makeup lovers and beginners I think this is a must have, it is also bag and travel-friendly it is small and compact. I will definitely carry on using this and maybe try other colours from this range. You can purchase this item from the elf website online. 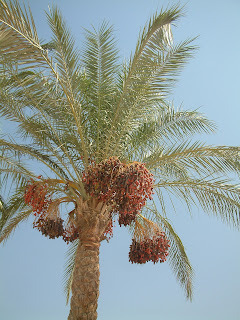 I want to express how beneficial dates are that is why I am going to tell you the benefits of dates and there are lots, with proof, this is something which is 100% correct because people who eat dates know that this does really work, most importantly dates are energising and there are a lot of health benefits to eating dates. 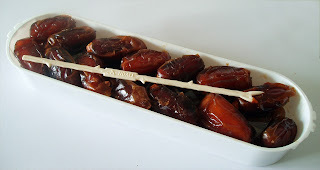 Dates can be eaten on it's own or it is beneficial to eat them with milk, you can add them into the milk or eat them whilst drinking warm milk, or even make it into a date milkshake. 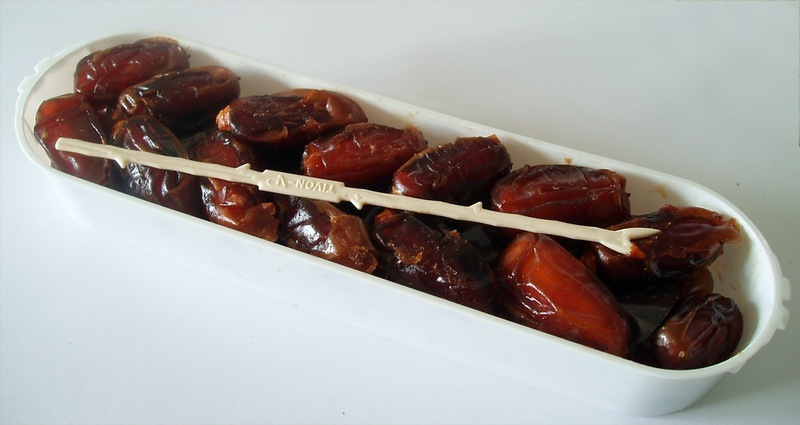 Scientifically it shows that dates are filled with vitamins, minerals and nutrients. Dates are a fulfilling fruit that's why they are best to eat in the morning when you have an empty stomach it will fill you up and give you all the nutrients you need. This is the reason Muslims open their fast during Ramadan with dates as it will help their hunger, low blood pressure and headaches. 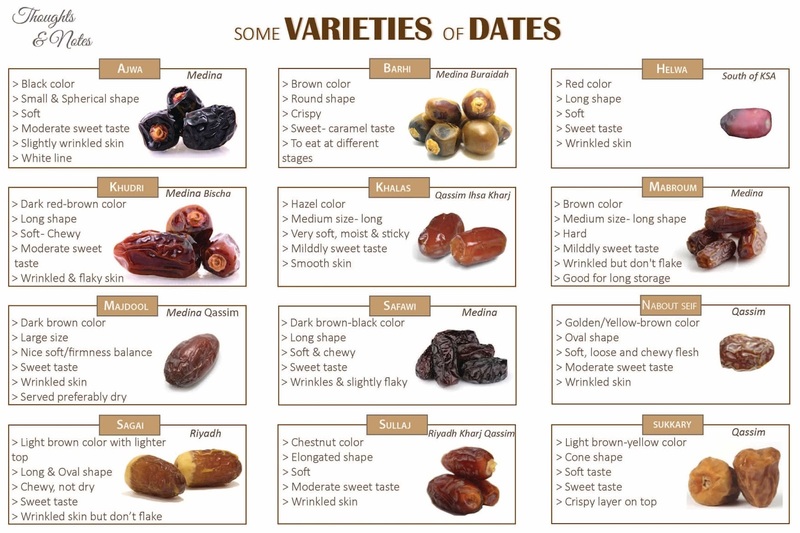 Dates have a similar taste to raisins and prunes, but has added benefits for everything and are much better to eat. Dates can help with period pains, childbirth, for newborn babies and all types of health conditions including diseases, blood pressure, anaemia, constipation, diarrhoea, diabetes, mental conditions, skin, hair and eyesight. A true story is about Hazrat Maryam A.S (Mary) when she was giving birth to Hazrat Isa A.S (Jesus) she was having labour pain so she was told by Angel Jibreel to shake the trunk of the palm tree where she was and eat the dates as they will ease her pain, they also minimise bleeding after birth. For newborn babies it is said when they are born to give them a small part of a date and place it into the newborns mouth then they will slowly chew on it, after the baby is separated from the umbilical cord it needs it's nutrients which it can get from dates, it is a blessfull and beneficial thing to do for babies it is called Tahneek. This has been scientifically proven, a dose of sugar being rubbed inside a cheek of a baby will help against any issues especially for premature babies. Please seek more information before trying this method it may only be done by specialists. There are different varieties of dates, first there are unripe dates these dates are newly formed dates still on a palm tree so they are hard inside but can be eaten, then we have dates that are ripe and soft which are mostly eaten by people, there are all kinds of dates with varying colours and different sizes as you can see below. This is the best medicine for every single thing honestly, and also the best snack you can eat it is sweet and chewy, share this information to others because it is very useful and will surely help them. Dates can be purchased from food stores they originally come from east asia and can be glazed with glucose to maintain it, they can be stored anywhere dry and wash before eat. For further information contact me. If you're a DIY person then you can get creative with ways to repurpose and reuse makeup and skincare containers. This is part of DIY, being able to reuse items again and being creative with them. Sometimes makeup and skincare containers can be used again, some containers may not be in the form to be used again or maybe they are in a tube, so you can recycle those. This is a good way to make sure you are clearing out and keeping organised. You can reduce clutter, that just piles up and is all around the place, this can also be small bits and bobs. Small items can be stored in tubs and tins so they are not left in the open and so you know where they are. You can store jewellery, bobby pins, bobbles, clips, pins, nail files, nail clippers and anything else that will fit into the containers you have. I have been using mine to store in bobbles and bobby pins and hair clips and it's exactly what I need, these small items normally go all over the place but with these helpful tubs it makes it much easier to store them. I use small and big tubs and have them small ones placed inside drawers and the big tubs outside so I can grab what I need. This does not have to be makeup containers only it can be anything jars, food tubs, cardboard boxes anything you feel that will be great to use. Y.ou can also get creative and make your own lotion again when you run out, by adding an unscented lotion and then mixing in a drop or 2 of your favourite perfume into the lotion. You can reuse the cream tubs to store your own made lotion and keep on redoing it. You can also use your perfume bottles that have ran out to store flowers in or use it as an ornament in your home, there are some pretty looking perfume bottles out there, you can design them even more and make it into something beautiful. Another helpful way is to use the containers for travelling, when travelling you normally use smaller sizes also known as travel sizes because you want something that will easily fit into your bag and is not big and taking too much space, this will be perfect because it will be travel friendly you can use it to store your small items which you need to take into pods, lip balm tins, cream tubs and makeup containers. You can even design the tubs and tins you have, maybe to assemble the theme you have in your bedroom. If you want to remove any labels you can do so by using vaseline or even better acetone, acetone will also remove the ink from the containers. I hope you try this out this saves money and also allows you to be creative. I also did another post on how to make a DIY makeup brush holder to storage your brushes. I came across a coconut oil which had a lot of good reviews on the Superdrug website and I was also looking for a hair oil for my hair because it was dry. I purchased this 125ml coconut oil whilst it was on offer for £2 otherwise normal price is £2.69 the price changes when there are offers so look out for offers from Superdrug, but at the moment it is on offer for £1.65 which is a great deal, they also have this in 500ml as well. My main reason to use this product was to use it on my hair and I have to say I really love this product, it leaves my hair feeling very soft and shiny, I can also see the difference it has made for hair loss, the amount of hair loss I have every time I brush my hair has reduced. There are many uses with coconut oil it is perfect for haircare and skincare and can be used anywhere on your body it will just leave you feeling soft and moisturised. The coconut oil is a natural product, so it is in a solid form, but you can easily take this out with your fingers and melt it in your hands and then apply it on to your hair and skin, if you live somewhere where it is cold then I recommend you leave it somewhere warm so it can get warm and it will make it easier to take out. The oil doesn't make your hair look greasy but it makes it look shiny. Also, my split ends have significantly decreased. It smells like coconut and it also has a vanilla scent to it. The way I use this product is before I wash my hair I apply the coconut oil on and wait about 20 minutes and then wash my hair, whilst I am washing my hair I can feel my hair feels smoother and it's easy for me to wash my hair like this, after when my hair drys I apply a little bit more to add some moisture back in and get the shiny look. I have also applied this onto my skin where my skin was dry and it has helped it soften again, there are no faults with this product because coconut oil is a very useful product for your hair and skin. I have also started using this as a makeup remover and a makeup base and it works perfectly, it an also be used as a night or day time moisturiser, you can read my post about the different ways you can use coconut oil here. I highly recommend this product because you will definitely see the difference it can make, you can purchase the product from Superdrug here, but also see reviews from other people who also love this product.